the life of Rubens on a timeline: important dates and periods in the life of the Old Master are indicated and elaborated on in the main part of the book through text, images and maps. 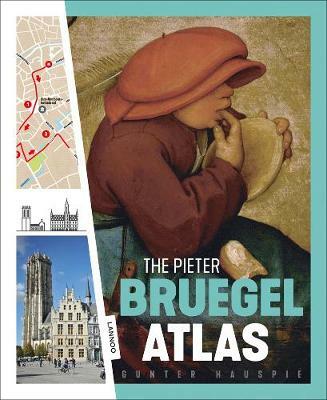 One of those maps could, for example show Peter Paul Rubens' stay in Italy or his diplomatic journeys, but it could also take the reader on a city walk through Antwerp, visiting places that are linked to Rubens and his work. The maps are designed to reflect the age in which the artist lived. More than striving for artistic comprehensiveness in terms of art history, these atlases are intended to reflect the context in which the artists lived, worked and flourished. Just think of the artistic exchange between Italy and Flanders, the influence of the Catholic Church and the religious strife of the time, the role of art promoters, etc. It goes without saying that the atlases are richly adorned with the work of the artists. The main goal of the three books that will make up the series is to encourage and help readers to further discover and interpret the Old Masters' work and the locations in which they lived. Buy The Peter Paul Rubens Atlas by Gunter Hauspie from Australia's Online Independent Bookstore, Boomerang Books.